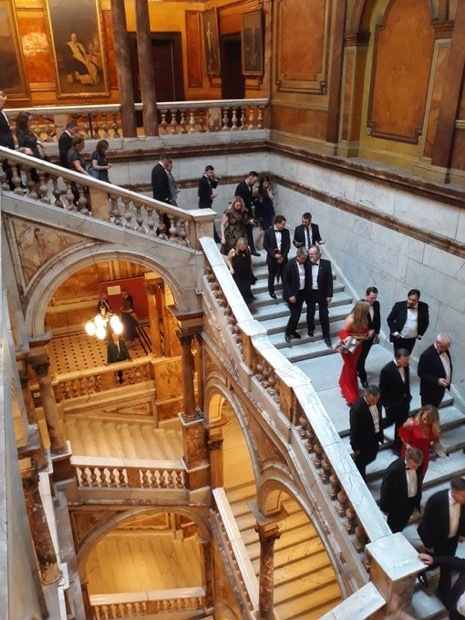 First launched at Edinburgh Castle in June 2016 and subsequently at the British Embassy in Dublin in October 2017, Causeway fosters close economic ties across Scotland, the Republic of Ireland and Northern Ireland, by providing a high-level forum for businesses to build relationships and expand their networks. Taking place at Belfast City Hall, the launch event will demonstrate the value of the membership organisation to potential members and will be attended by businesses from the three regions, alongside representatives from Belfast City Council and other business organisations from Northern Ireland. The not-for-profit organisation receives financial support from both the Scottish and Irish Governments and it is hoped that the Northern Ireland launch will further facilitate growth of the organisation and provide clear business benefits to its members. Speaking about the launch Causeway Chairperson, David Greenlees, said: “Our membership is open to any business with an ambition to grow meaningful business connections and support other organisations that have similar ambitions- whether that is large corporates or ambitious SMEs. In 2017, over 500 businesses benefited from our networking events and we look forward to expanding this reach by launching in Northern Ireland. Adding his support, Councillor Donal Lyons, Chair of Belfast City Council’s City Growth and Regeneration Committee, said: “Our Belfast Agenda has set out ambitious targets for the growth of our city in the period to 2035, and working in partnership with our neighbouring cities and regions is the best way to achieve this. It is through building networks and establishing connections that we will secure Belfast’s continued development now and in the future. A local committee will be appointed with a responsibility to develop an events and networking programme as well as connecting with other business organisations and growing the membership base. This committee will operate under the guidance of the Causeway board similar to the committee structures in Ireland and Scotland.